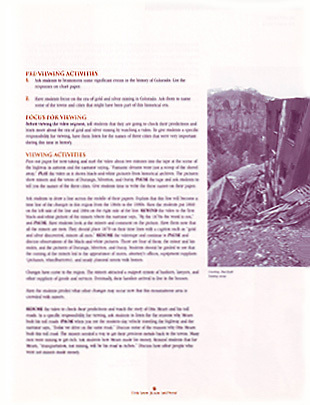 The printed guide includes a program overview, summaries of five major themes covered in the television program, viewing tips for teachers and a series of classroom activities. 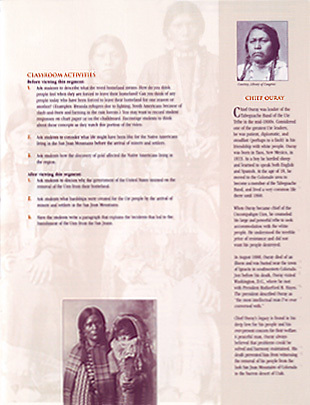 Developed with the aid of master teachers, these classroom activities provide an educational framework prior to viewing, a test of knowledge after viewing and an incentive for further study of significant events. 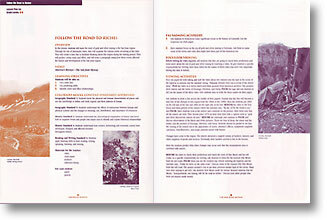 Careful development and deployment of the America's Byways television series, website and educational material enable it to be a useful resource for history education and travel information. 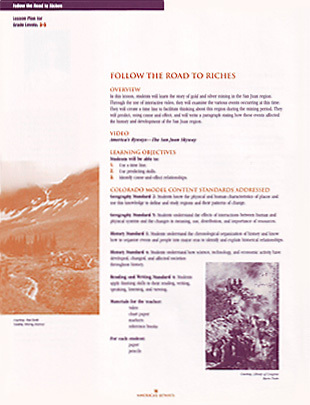 The television program has been viewed by over 150,000 Colorado residents, and the series was distributed to all of the state’s public schools for classroom studies. 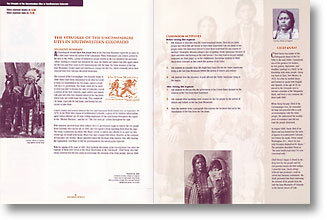 Thousands of social studies and geography coordinators as well as media centers in Colorado elementary and middle schools have received the printed educational material. Libraries, museums and historical societies have added the videos and supplementary material to their public collections.